Should You Do It? Which Businesses Can Get a Good Start at Holiday Time? Starting a new business during the holidays has its pros and cons. One pro is that it's a time of year in which people are buying and need help giving you a ready-made market. A big con, however, is that it's a busy time of year. Taking on a home business start-up can be a challenge with all the other activities you've got going on. If you're wanting to make extra money during the holidays or want to go full out and start a home business during the holiday season, here are some tips and ideas to help you get started. Something else to consider is that if you are just starting up a business that will be big during the holiday season, you will miss out on opportunities for advertising and promotion before the season hits. Also, many government agencies are closed or minimally staffed during the holidays, so that's a bad time to register a new business entity or other preliminary tasks that need to be handled before you start taking on a lot of clients. That said, if you can wrangle a couple clients now and hit the ground running while keeping your finances under the table, you'll gain valuable experience and have plenty of time to get legit in time for the next season. Looking for ideas that are hot for the holiday season? These seven ideas take advantage of the gift-giving, as well as extra service needs of people during the busy holiday season. Starting a new business providing home holiday decorating services is a great idea for those with an eye for great looking, tasteful decor. It would also be a great new business for a husband and wife or man and woman team, getting the best of what both have to offer. While this business can get a big jump start at the end of the year, those who start a new holiday decorating business might also consider starting a second business that would allow them to level out their earnings year round. If you think you might make a great decorating elf, try this. Starting a new business as a personal shopper during the holidays could get you off to a great start. What busy, overworked mom, dad or upwardly-mobile single wouldn't love some help with shopping at this time of year? Personal shoppers serve clients who are either too busy or simply unable to shop for themselves. Many personal shopper and errand services either charge a percentage of what they buy or by the hour, and this is one of those ideas for a new home-based business. Starting a new business making and selling gift baskets would be perfect if you are creative and love making crafts and assembling items together in an attractive basket that anyone would be happy to receive. The added benefit of this new business is that gift baskets make handy gifts all year long, and you can market to both individuals and other businesses. 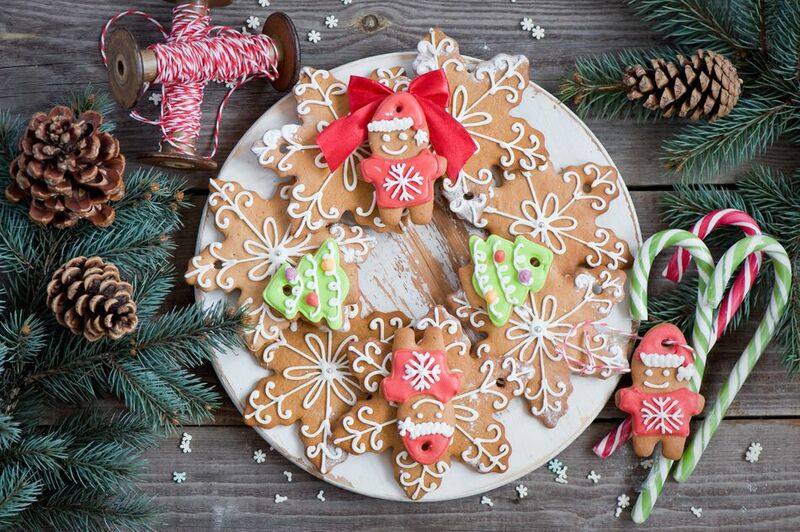 Who doesn't love home baked goods during the holidays? While most of us love to smell the aroma of fresh baked goods, especially during the end-of-year holidays, not everyone can make them to perfection. That's where you come in. Plus, local businesses like to put out baked goods for the employers and even send them to clients and regular customers, so there's plenty of interest in your wares around the holidays and starting a new business in baked goods might be fun. There are loads of holiday parties this time of year, not only family gatherings and personal parties but corporate holiday parties as well. If merely booking the caterer and the DJ made a successful party planner, many more would-be entrepreneurs considering starting a new business would be headed for this. Well, you could be a party planner and book the catering service, or you can start a new business as a caterer. In fact, it might even be a great idea to both offer to plan the party and cater it! Think of it as vertical integration where you control the supply chain. The holidays are the busiest travel days of the year. Family gatherings, seeing old friends, enjoying a tropical getaway from the snow, going to a ski resort and enjoying the holidays - nearly every excuse to travel fits into the holiday season. But who will watch Fido and Fluffy? Pet sitting businesses get very busy around the holidays and client typically have to book well in advance. This allows you to better manage your schedule. Although consumers and businesses are primed to buy during the holiday season, that doesn't mean you can get away without marketing. Here are some ideas on how you can market your home business during the holiday season.